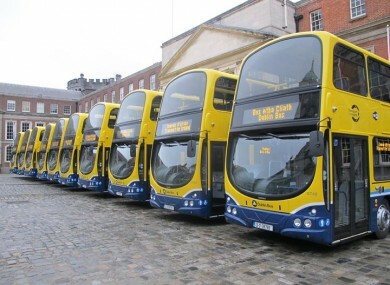 DUBLIN BUS IS hiring drivers, following on from a successful recruitment drive earlier this year. The company hired 70 drivers last December and a further 100 drivers during the summer. Before then, it had not recruited any new drivers since 2008. A spokesperson said the recent expansion is due to increased passenger numbers. The network carries about 118 million customers a year across its fleet of more than 900 buses. The company is looking for “people who will operate our buses safely and efficiently and who will make every effort to ensure our customers have a positive experience of Dublin”. New drivers will earn €565.95 per week for a four-day shift and to €769.74 for a five-day shift. Successful applicants will receive training and mentoring, and undergo a 12-month probationary period. Email “Ever wanted to drive one of these bad boys? Now's your chance...”. Feedback on “Ever wanted to drive one of these bad boys? Now's your chance...”.